Try these veggie-loaded lettuce wraps with “fried” riced cauliflower, stir-fry vegetables, soy sauce, chili garlic paste and avocado, all ready in only 15 minutes! In 10-inch covered skillet, heat oil over medium-high heat. 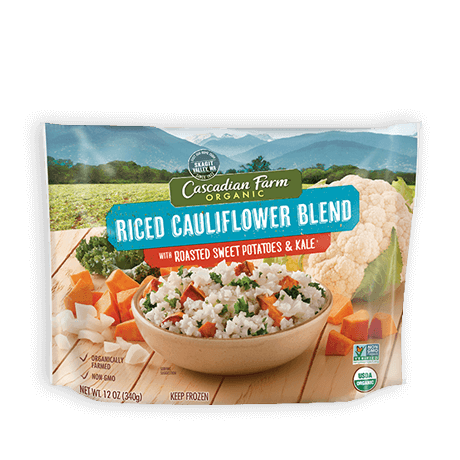 Carefully add frozen cauliflower blend; stir. Reduce heat to medium. Cover and cook 7 minutes, stirring frequently. Stir in garlic; cook uncovered 1 minute. Stir in soy sauce and chile garlic paste; cover and cook 1 to 2 minutes or until cauliflower is tender. Divide cauliflower mixture among lettuce leaves; top with avocado, peanuts and green onions. Some like it hot! If you crave a spicier version, just add an additional teaspoon of chile garlic paste.